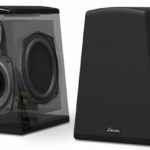 The Aon 3 is an exceptionally compact, ultra-high-performance bookshelf speaker that were originally developed for use as nearfield monitors in professional mixing applications. 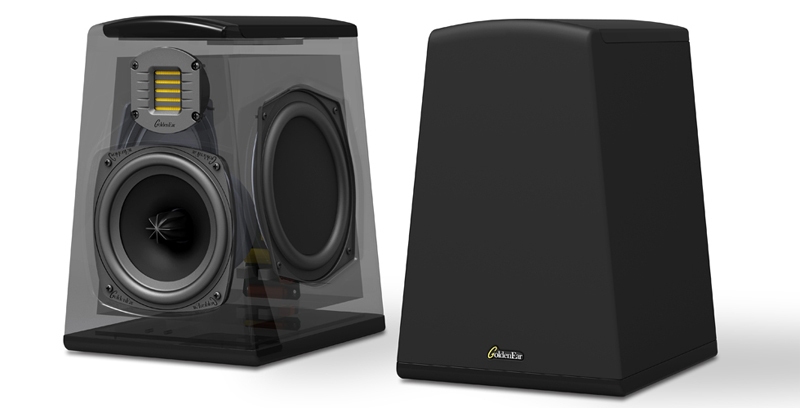 The design goal was to produce modestly-sized shelf or stand-mountable speakers that would achieve accurate high-definition sonic reproduction, with superb three-dimensional imaging, comparable to that achieved by GoldenEar’s award-winning Triton Two Towers. Although they don’t have quite the awe-inspiring bass of the floor-standing Tritons, great care has been taken, and extensive technology has been incorporated, to ensure that the Aons can deliver a remarkably satisfying listening experience without the need for a separate subwoofer. 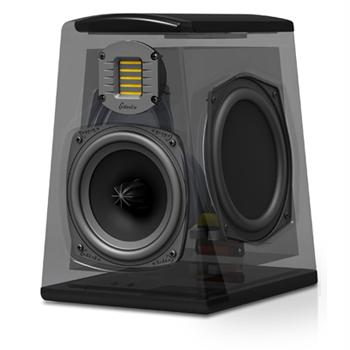 The compact, 14″ Tall Aon 3 Bookshelf Monitor incorporates a 7″, High-Definition, Multi-Vaned Phase Plug (MVPP™), cast-basket Mid-Bass Driver, coupled to two 8″ Inertially-balanced side-mounted Low Frequency Radiators and the GoldenEar High-Velocity Folded Ribbon Tweeter (HVFR™).